Summer last year Pretzel Boy went on a school trip to London, for which he needed a small day bag. Well I decided I wouldn’t buy one, I’d make him one, something just the right size for a day of walking around London. 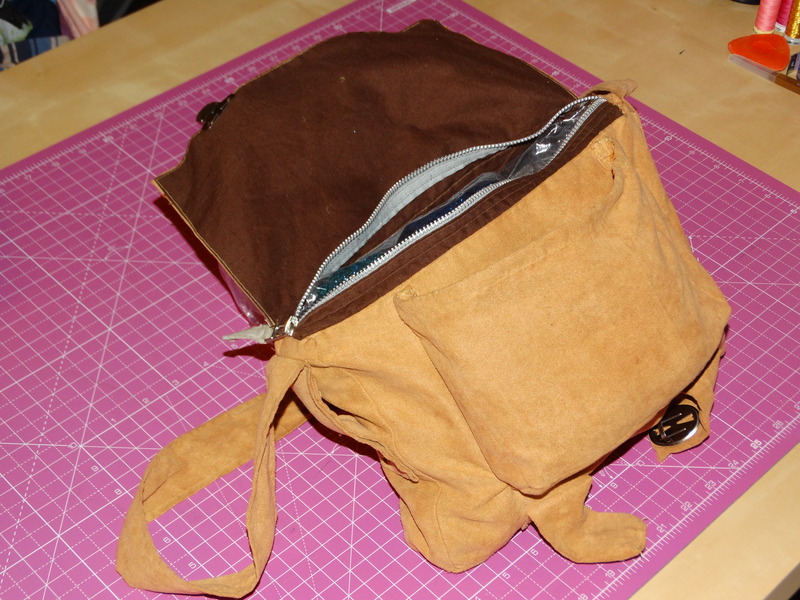 My idea was to create a bag suitable for an explorer / adventurer, which I believe he was quite happy with. It is a small shoulder bag with a zip close main section and small front pocket, with a top flap to cover both. This was created with no pattern just an idea of what I wanted to achieve. 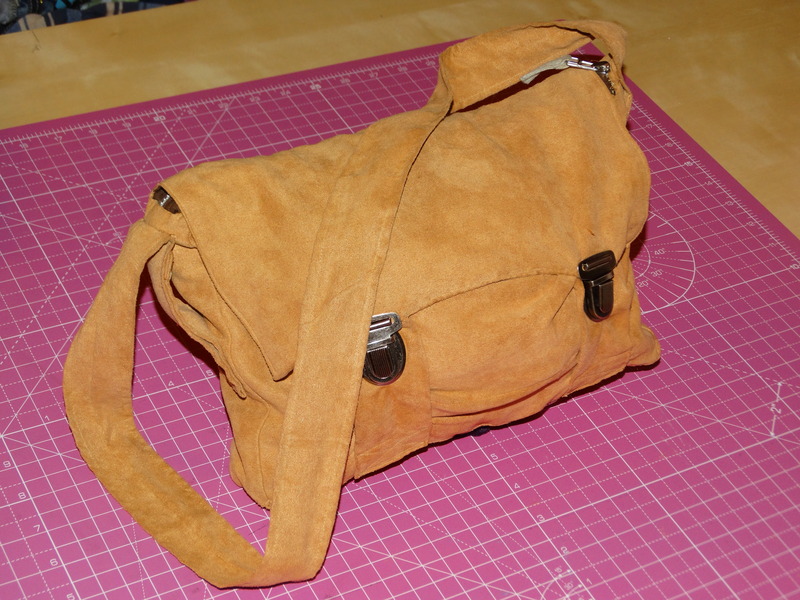 The outer of the bag is a poly suede, which feels really great. The inside is from the left overs of the Jedi Cloak, giving it a look of being much bigger than it is. Oh and I up-cycled a nice chunky zip from an old jacket of his.